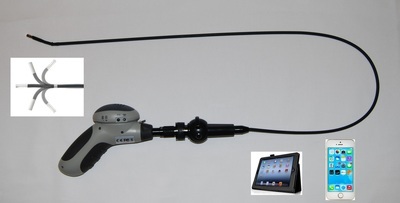 Articulating 5.5mm Borescope System with 3.5” LCD Monitor - Oasis Scientific Inc. 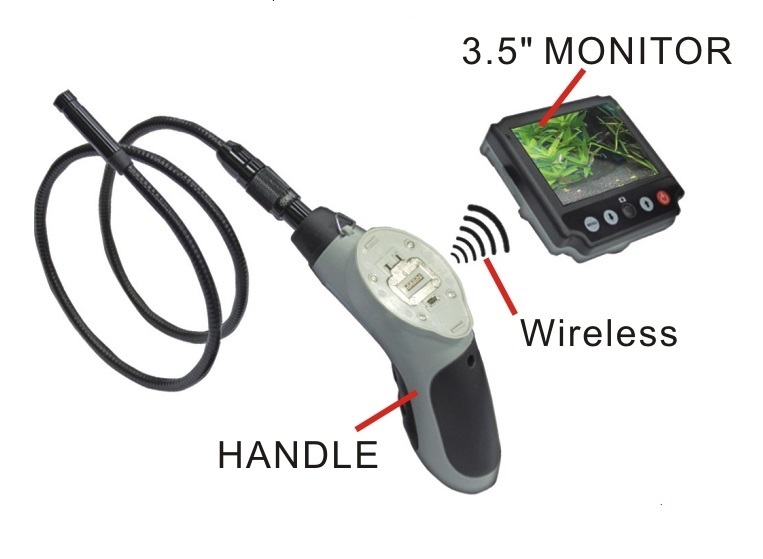 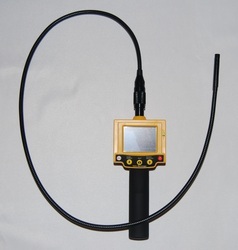 The Vividia High Performance Video Borescope System with Articulating 5.5mm Diameter Probe and Wireless 3.5" LCD Monitor can be used to perform a detailed visual inspection in hard-to-reach areas, in total darkness or under-water. 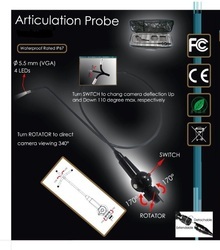 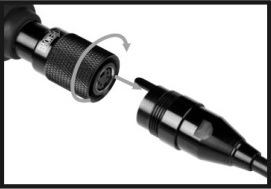 An articulating 5.5mm diameter probe with +/-110 degrees sweep, and 340-degree rotation offers a panoramic view of the area being inspected. 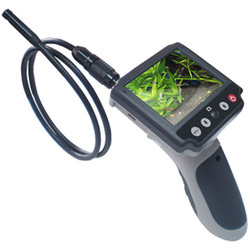 With 3.5" detachable wireless full color LCD screen and four built-in LEDs for illumination, this camera allows you to capture snapshots or videos with rich color throughout a dynamic range from 2cm to infinity. 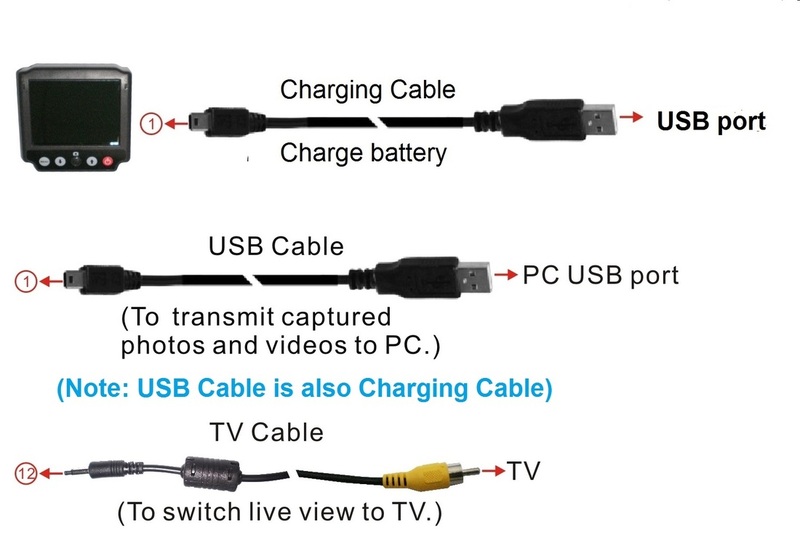 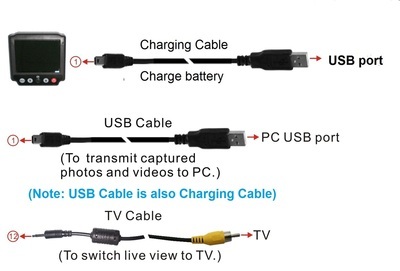 The captured images and videos are saved in the SD card, and the data can be transferred to a PC using the provided USB cable. 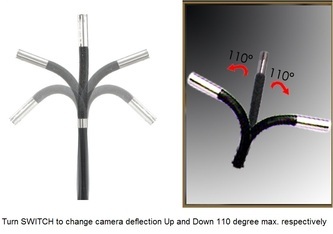 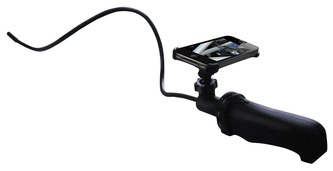 The waterproof camera head and cable are able to withstand wet environments. 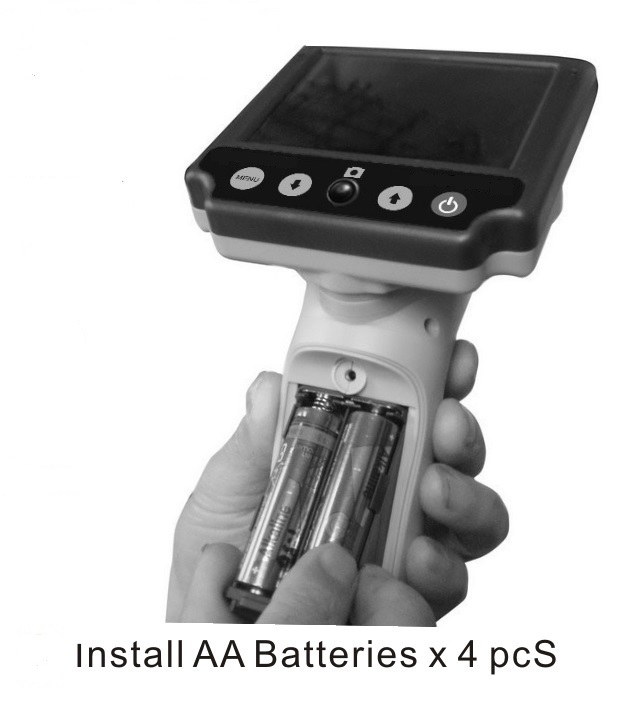 This unit is ideal for use in aircraft maintenance, machinery and production line inspection, petro-chemical and power plant inspection, general MRO and facility management where closely documented small space inspections are essential. 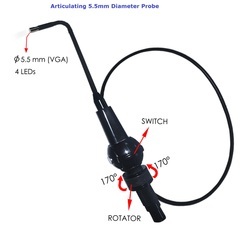 Below is a video of Retired Navy Captain, Richard Koehler, demonstrating to use our VA-350 Articulating Videoscope Borescope.